Justice League may have been a steaming pile of failure for Warner Bros., but not everything sucked about it. The film ended on a really high note, with the return of Jesse Eisenberg's Lex Luthor as he takes the initial steps into forming his Injustice League. Surely they wouldn't ignore that storyline going forward, right? I love it when actors as journalists if we can pull any strings to make something happen. No. No we can't. It isn't clear where Luthor could resurface. I'd like to think he'd show up in Aquaman, perhaps to recruit someone like Black Manta to his side. And then again in Wonder Woman 2 in hopes of luring Cheetah to the team. To me this makes perfect logical sense, which means we'll probably see them do something completely different. 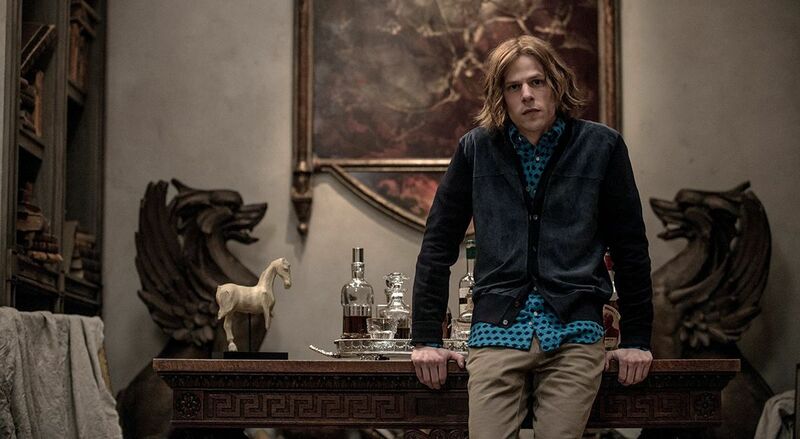 Eisenberg added that his role in Justice League, which we are pretty certain was shot early in Zack Snyder's time on the project, wasn't cut at all. "Actually, on the contrary, they added some stuff,", he said in response to a question about it. I don't know what they could've added to what is a really brief cameo. Maybe he meant they added scenes to the whole movie, not just his scene?